hoopyogininiamoves - Hoop Cubed- Hoop Dance Classes in Houston! HoopYogini™ is an amazing program that combines hatha yoga, hooping, and mindfulness meditation. It's incredibly accessible regardless of your experience level in any 3 of the components (yes, even if you're never done any of them!). HoopYogini™ works not only your body, but your brain, and your soul. HoopYogini™ is transformational fitness integrating hula hooping with hatha yoga and mindfulness meditation. HoopYogini™ is a Doctor Approved program designed to tone the core, improve posture, reduce back pain, as well as, support healthy digestion and fluid circulation. 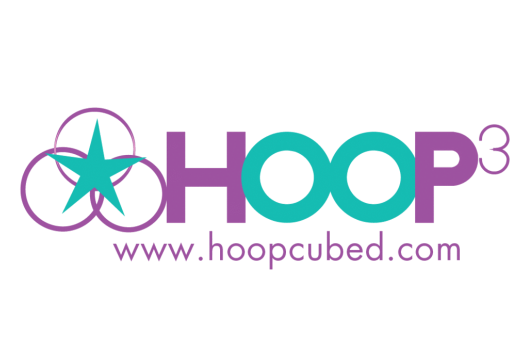 HoopYogini™ utilizes the modern adult-size hula hoop for flow, self-awareness and as a functional fitness tool to strengthen and stretch the body. All HoopYogini™ strengthening sequences can be linked into a flowing and meditative dance. No previous HoopYogini™, hoop or yoga experience required! The circular nature of the hoop gently encourages movement, freedom of expression, conscious daydreaming (a lost art for most adults!) and improved range of motion. Stretching with the hoop in familiar hatha yoga patterns releases mental and physical tension, develops present-moment awareness, and affirms the practitioner’s ability to clear unhealthy beliefs and actions.